Big Island has a wide selection of hotels to offer but their exclusivity and amenities differ in the areas. While the most luxurious accommodations can be found North of Kona airport around Waikoloa and Hapuna, the least luxury can be expected at the Volcano National Park. The interface of both can be found in Hilo and Kona the main towns on the island in the East and West. When visiting the Volcano National Park I recommend staying in Volcano or furthest around Puna. If you are looking for a beach vacation close to white sandy stretches choose Waikoloa, Mauna Lani or Hapuna above everything else. The benchmark for a 3-star hotel is $100-250 per night. 4-star hotels are around $200 – 400 per night. In comparison you already get an apartment from $80 per night with 3-star amenities, and from $150 with 4-star amenities. Although the North of Hilo is breathtaking with its lush rainforest, scenic drives and waterfalls, the town itself is quite unattractive. Most hotels are located along Banyan Drive North of the airport and their reputation is quite bad. I only would stay there if you arrive late or if you plan to explore the North Shore up to Waipio Valley first on next morning before you head to Volcano, Puna or the South. Better alternatives are small B&Bs that are nestled outside the town along the shore. If you are traveling in a bigger group you might want to consider a beach rental around Kapoho or Waiopae at the East shore. The small communities are one hour away from Volcano National Park and Hilo and are located within a lush rainforest close to the shore. Staying here you are still in a reasonable distance to explore the North Shore and the National Park and can also enjoy one of the best snorkel spots on Big Island, the Kapoho Tide Pools. The area is known for vacation rentals and most of the homes are listed at vrbo.com, homeaway.com or vacationrentals.com under ‘Vacationland’. Just make sure you double check on your rental since the differences in standards are huge and you easily can end up in a dump. $149 per night/room. 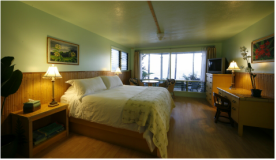 This little B&B with two rooms is located North of Hilo (about 3 minutes to drive from downtown) at Alae Point, close to Honolii Beach. The innkeeper Sue and Steve prepare the breakfast personally, including a fresh fruit platter and changing daily surprises for their guests. $160–180 per night/room. 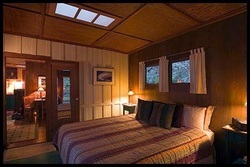 Just a stone throw North of Hilo, Hale Kai awaits guests with four different ocean front rooms and views over Hilo Bay. All of them are spacious and the rate comes with a freshly prepared breakfast on the upper deck overseeing the bay. I recommend the Bamboo room since it is tucked away from the other rooms and has a private lanai. ​Volcano is a small and sleepy community East of Volcano National Park. Besides a few luxury retreats most accommodations are simple hotel/motel rooms or apartments tucked away in the lush tropical forest. Since there are only two small shops where you can get groceries, which are by the way extremely overpriced, I recommend to stock up in Hilo or Kona for your stay. Alternatively there are a few restaurants around where you get some decent food in case your kitchen is way underequipped. From 89 – 139 per night depending on the room and amount of people. The Inn has two locations in Volcano. The standard and corner rooms are located in the inn itself North of HWY 11, the family rooms are settled South of HWY 11 in four two-story homes. Both locations are surrounded by lush ferns and offer hot tubs. The rate comes with breakfast, which is only available at the Inn itself. $165 per night. The little cabin comes with one bedroom, a living room, bath and kitchen and is situated on a private road. The cabin is stocked with fresh fruits, juice, cereal, milk, eggs, bread, jam, coffee, teas, and some condiments and if you miss something the cabin hosts Jerry and Barry love to pamper you even more. From $170 per night/ room or home. The cozy lodge is a former YMCA camp and consists of a charming main building with 12 rooms and several offsite cottages for bigger groups. It is located in Volcano’s center and also offers a great on-site restaurant that also prepares take outs if you are too lazy to cook yourself. ​Kailua-Kona is the center of tourism on Big Island with a long stretch of accommodations along Ali’i Drive down to Kailua Pier. Staying here you have a big choice of affordable hotels, motels and vacation rentals close to the shore but might lack some typical secluded Hawaiian atmosphere. $125-200 per night/room. The Kona Beach Hotel is located close to the center of Kona along Ali’i Drive. 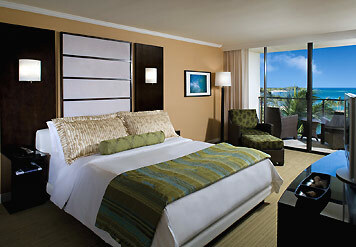 The hotel was recently renovated and its oceanfront rooms are facing the ancient Hawaiian temple at the pier. The hotel offers a pool and hot tub to its guests and hosts the most favorite Luau on the island. By the way the famous Kona Brewing Co. is just a few steps away from the hotel! $80-105 per night/room. This is a no frill hotel along Ali’i Drive but offers oceanfront rooms only with private lanais (balconies). If you are not looking for luxury but location and the sound of the ocean this is the place to be. The rate comes with breakfast and free parking. You have to pay in advance via paypal or cash since the hotel does not accept credit cards. The hotel is in walking distance to Kona’s restaurants and shops. 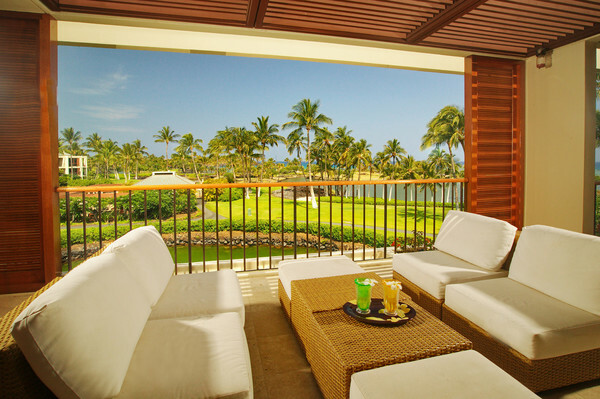 ​As soon you drive North of Kailua-Kona airport you enter the luxurious resort towns along the Western shore. Contrary to Maui or Oahu you won’t find high-rise buildings (except the Hilton Waikoloa) but nice premises adjusted to their surroundings. This might sound expensive first but all resorts include gated communities with apartments that are rented by their owners over pages like vrbo.com. Checking their offers first you can get great bargains that even include golf discounts on nearby courses. Another idea is to check third parties like lastminutetravel.com, expedia.com, travelzoo.com etc. for lower hotel rates. $150-350 per night/room (check third parties for lower rates). This 500 rooms hotel is nestled along two fishponds in front of famous Anaeho’omaalu Bay. Although it sounds huge the property is designed with Polynesian and Asian décor, has beautiful grounds and each room comes with a private lanai. The hotel is located next to the Queen’s Marketplace and King’s Shops, two elegant open-air shopping centers. $250–500 per apartment. Gated beach community at Anaeho’omaalu Bay with 2 and 3 bedroom luxury villas. Each apartment features an in and outdoor kitchen, and a huge private lanai. Guests can use the clubhouse, cabanas, a gym, spa, and a pool. I recommend checking private owner pages like vrbo.com and homeaway.com for cheaper rates. From $200 over vrbo.com per unit. Located within the world famous and luxurious but expensive Mauna Lani Resort you can rent some condos for a bargain price if you book at vrbo.com. Each unit comes with 1-3 bedrooms and an ocean and fish pond/lagoon view. Amenities include a private beach, pool, spa, and sauna.